This model is a real beauty, discovered using Great Stella. 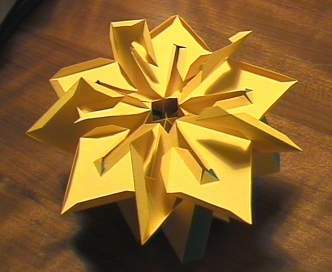 The model somehow looks both very complicated and very simple at the same time. 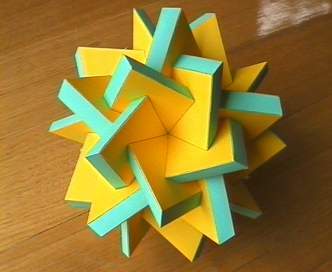 All the facial planes have 5-fold rotational symmetry, being parallel to the faces of the dodecahedron. 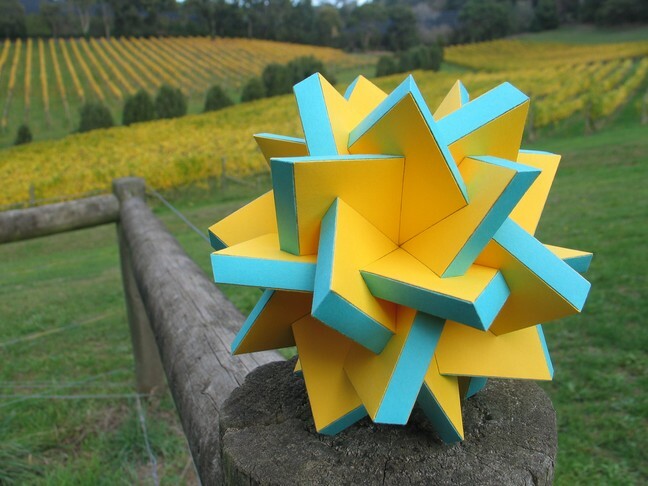 For Great Stella and Stella4D users, this model can be found in the Stellations section of the supplied polyhedron library as Stellation of Small Stellated Truncated Dodecahedron. 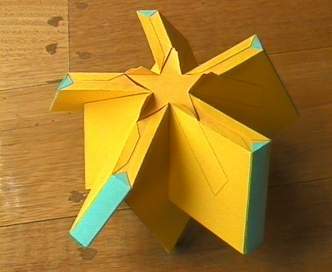 The model is a stellation of the small stellated truncated dodecahedron, pictured here. That is, its faces lie in the same planes. 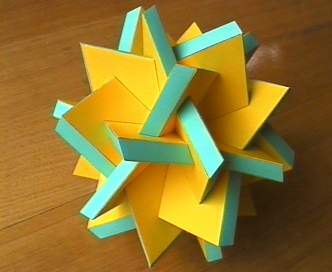 This shows one of the two types of faces, from the pentagon plane of the small stellated truncated dodecahedron. The dark areas show where the rest of the solid intersects with this plane. 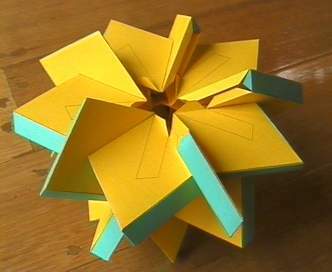 This shows the other type of face, from the decagram plane of the small stellated truncated dodecahedron. I started by just putting the nets from Great Stella together, but at about the half way mark, you need to start thinking about how you're going to "put the last piece in". I decided to make two parts and glue them together last. Here is one part. I left some of the rhombi complete, rather than cutting the inner slice out of them. This is where the other part will be glued on. To reinforce the surfaces where the two parts will be glued, I made these small extra polygons using Great Stella's "Selection>Mouse Selection Mode>Create Facets" mode. Here is the other part, with the extra polygons glued in place. 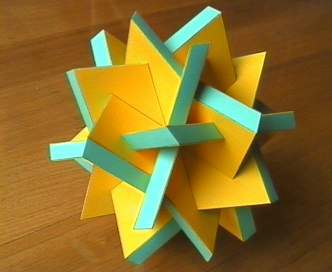 This part also has complete rhombi where the other part will be attached. 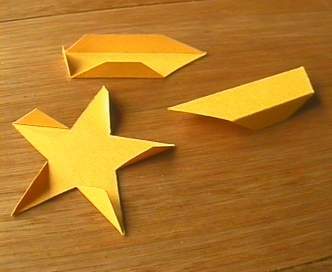 Connecting parts are covered in glue and then you hope for the best and put them together!